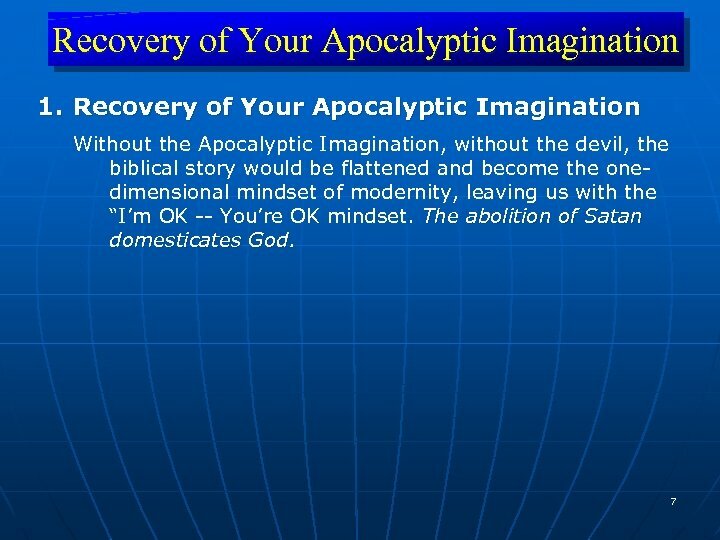 Recovery of Your Apocalyptic Imagination 1. 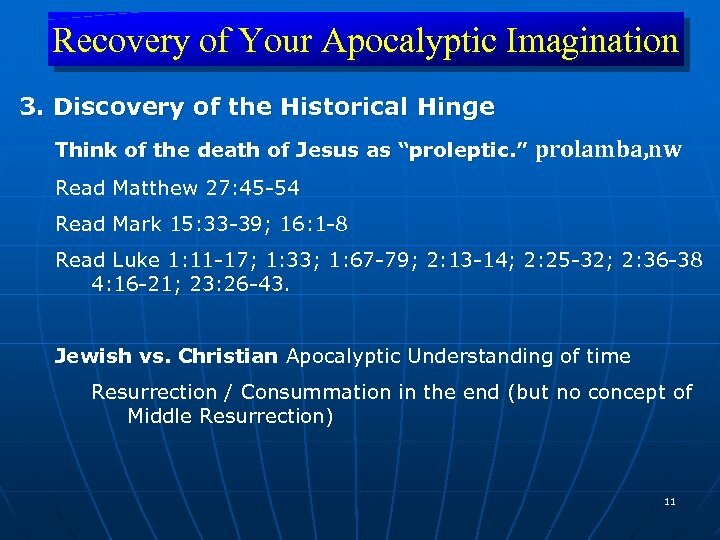 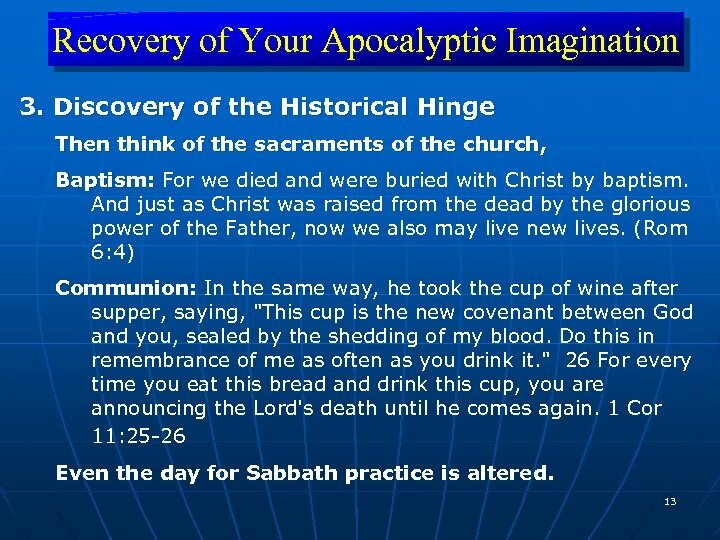 Recovery of Your Apocalyptic Imagination Without the Apocalyptic Imagination, I believe we can not comprehend the in-breaking of the Kingdom of God from the future or interpreting history from the perspective of the end time. 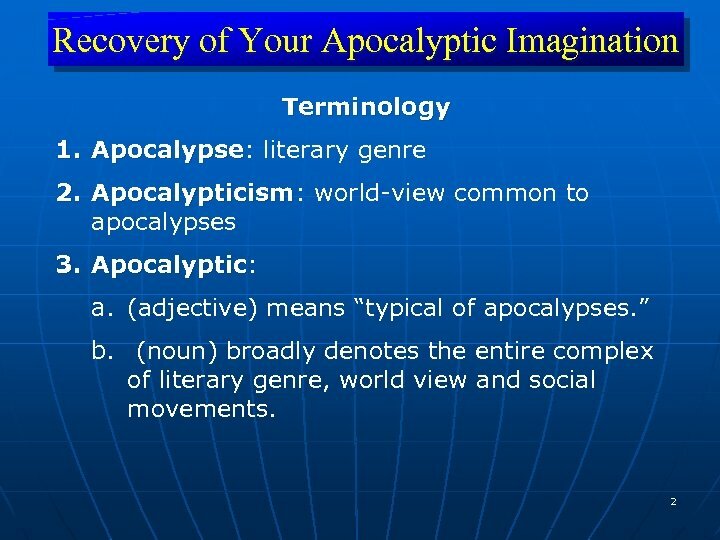 Without the Apocalyptic Imagination, I believe the modern media will set the language which creates our world view (racism, oppression, terrorism, hunger, homelessness, over-population, global warming, etc. ) 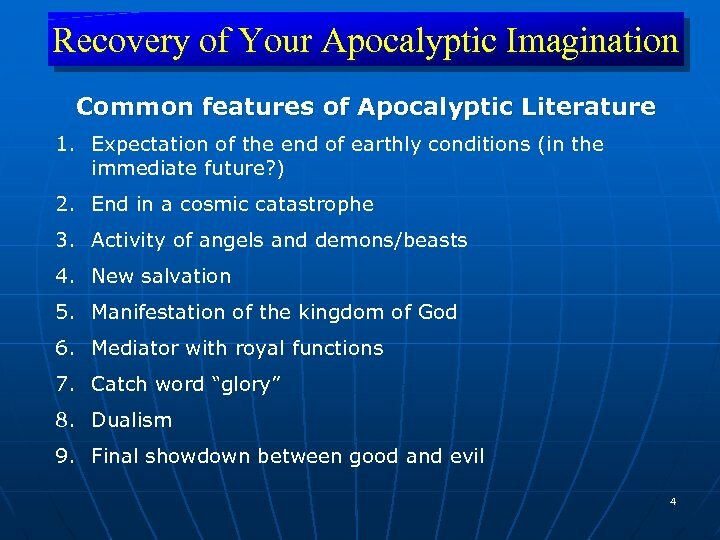 VS. the language of biblical apocalypse (Satan, demons, angels, principalities, dominions, thrones, elemental spirits, beasts. 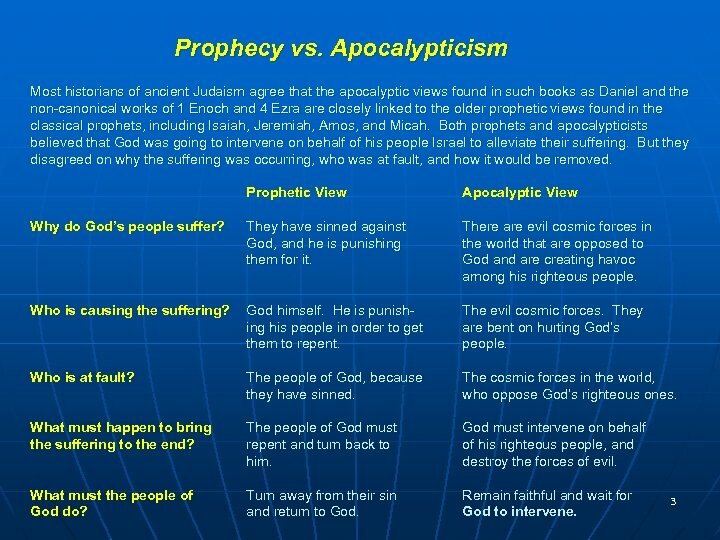 Its principal story line is the cosmic struggle between the Lord Creator and the prince of demons. 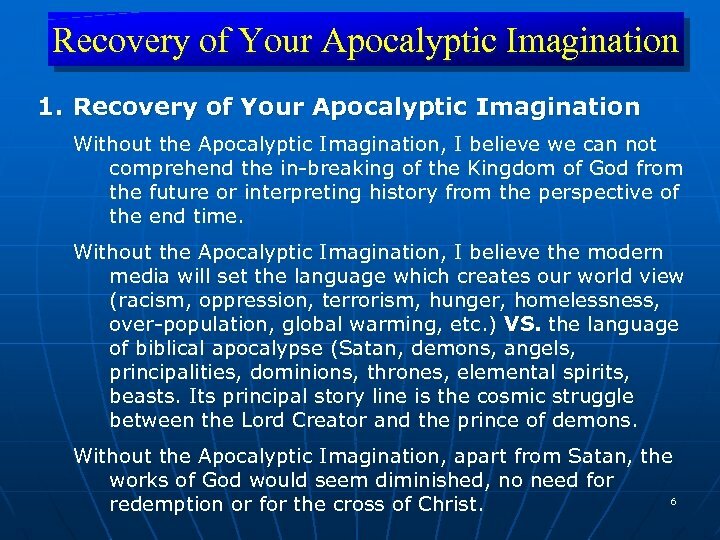 Without the Apocalyptic Imagination, apart from Satan, the works of God would seem diminished, no need for 6 redemption or for the cross of Christ. 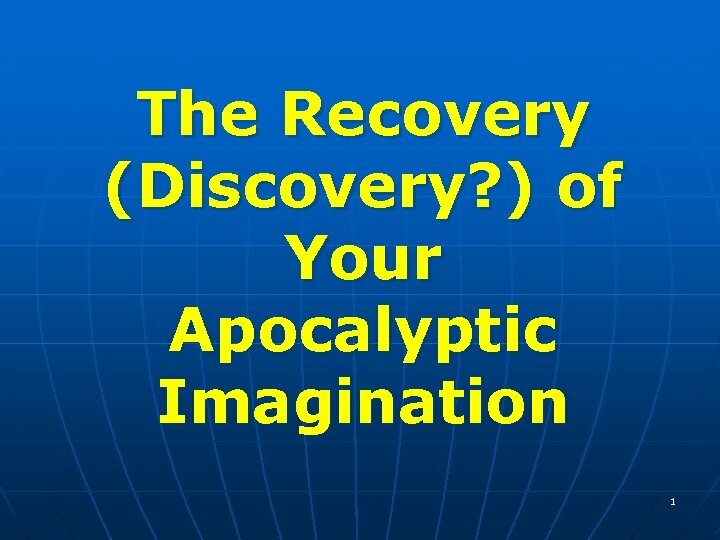 Recovery of Your Apocalyptic Imagination 3. 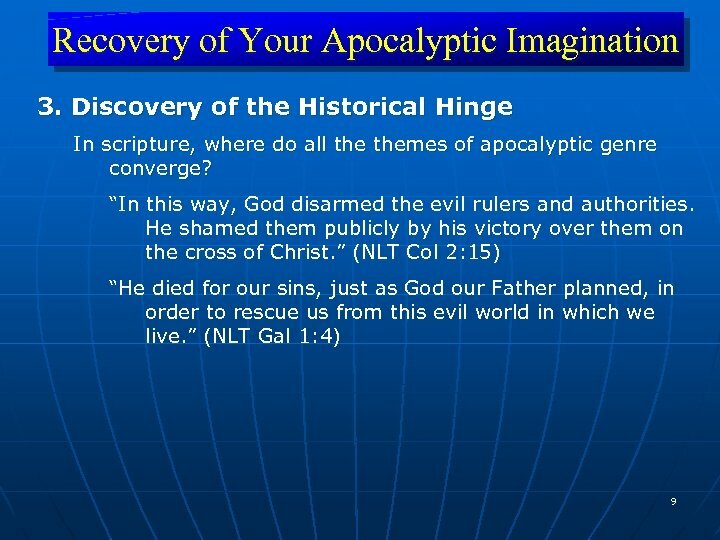 Discovery of the Historical Hinge In scripture, where do all themes of apocalyptic genre converge? 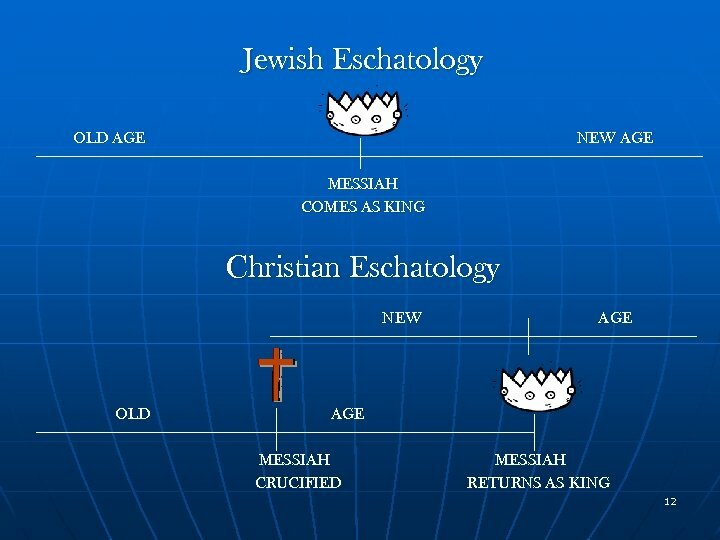 “Yet when I am among mature Christians, I do speak with words of wisdom, but not the kind of wisdom that belongs to this world, and not the kind that appeals to the rulers of this world, who are being brought to nothing. 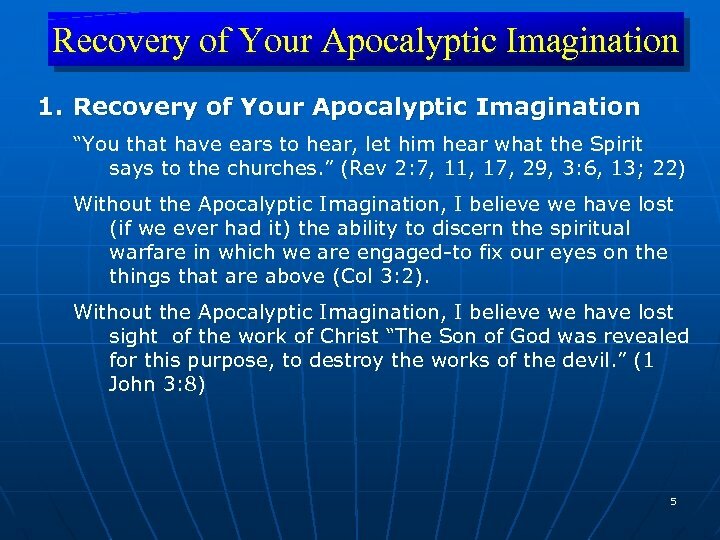 7 No, the wisdom we speak of is the secret wisdom of God, which was hidden in former times, though he made it for our benefit before the world began. 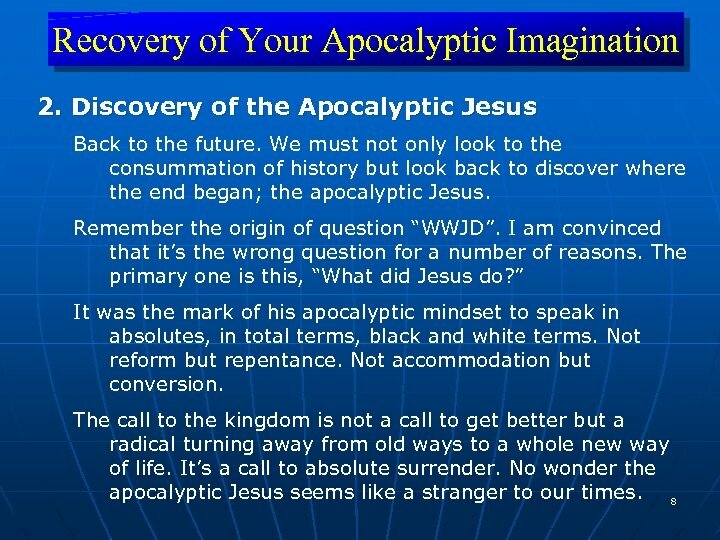 8 But the rulers of this world have not understood it; if they had, they would never have crucified our glorious Lord. 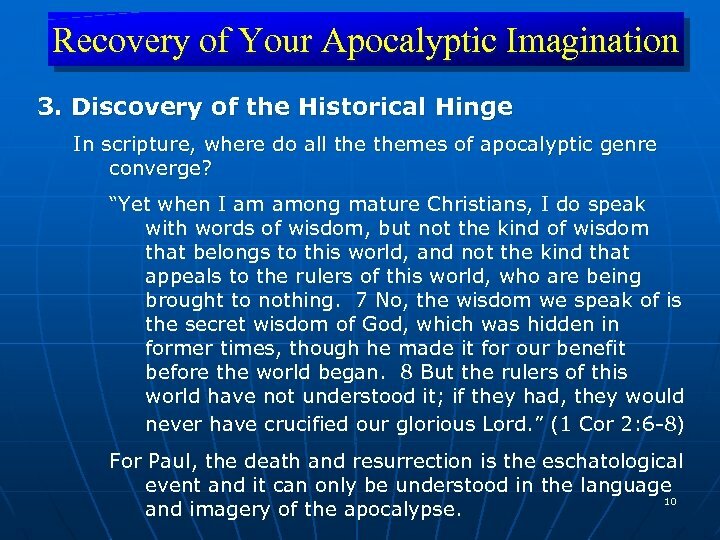 ” (1 Cor 2: 6 -8) For Paul, the death and resurrection is the eschatological event and it can only be understood in the language 10 and imagery of the apocalypse.